With this product we can upgrade our 3D printer by changing the normal aluminium or PCB bed with a silicone base up to 200W. By connecting this relay to our machine, we avoid heating the mosfets and the connectors of the electronics. Ideal for the PID controller. 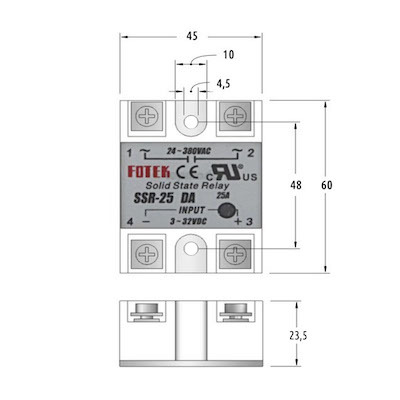 I we use a silicone base with this relay, we can reach a maximum temperature of 130ºC.